Literally. A bit of a play on a reference there, but my final stop for the day in Murphys landed me at the Solomon Wine Company. 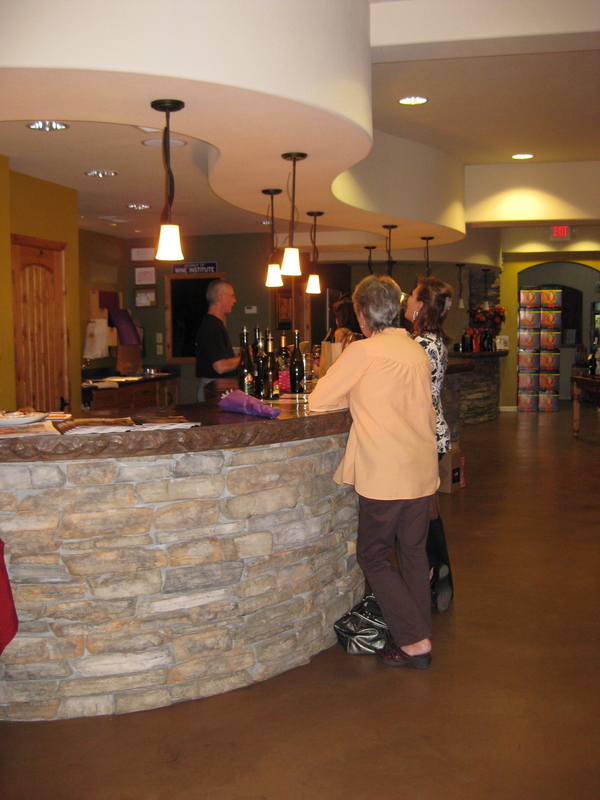 Solomon divides their wine offerings into 3 groups, the Muse Wines, the Garsa Wines, and the Cloud 9 Wines. I had been at Solomon the night before and really liked their Composition Cloud 9 wine, so I wanted to return and check out the rest of the offerings. I stopped in at 10 minutes to closing, and didn’t want to be a bother, but luckily Solomon has the philosophy of staying open as long as people keep coming in. I think this worked out for them as about 4 more groups came in after me, and well after the normal closing time! 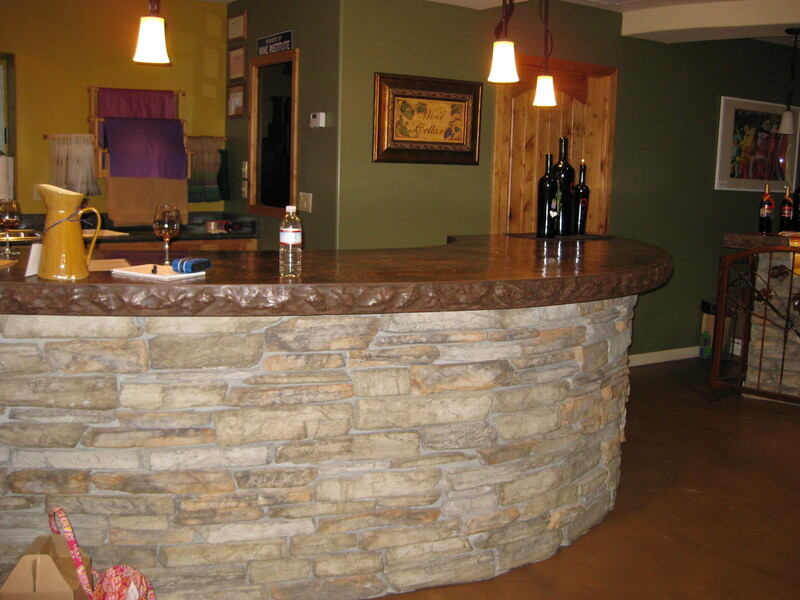 The tasting room boasts a huge tasting bar. Plus, a second smaller bar. I’d bet a good 30-40 people could comfortably fit at the bars with no problem, probably even more. 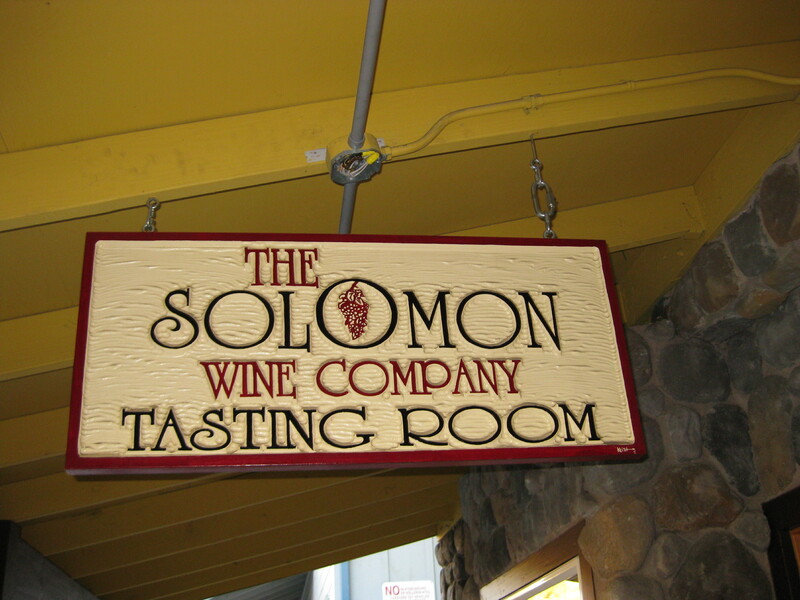 Solomon also offers a large array of local products for purchase, wine related and not, and I spent a good bit of time wandering around the tasting room examining the wares. Producing their first vintage in 2000, the winery now makes 5,000 cases of wine a year. 2007 Garsa Roussanne: $19.99. 1st vintage, oak aged. 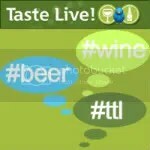 Honey, apricot, flowers, light orange, good body, clean fruit. 2006 Garsa Rosado de Sangiovese: $15.99. From El Dorado County. Dark, strawberry jam, cherry, little bit of citrus, dry, crisp, racy. I bought 1 bottle. 2006 Muse Genie: $12.99. The blend on this wine changes every year. This year it’s Chardonnay, Trebbiano, Muscat Canelli, Marsanne, Roussanne, and Viognier. Crisp, bright, light nose, honey, citrus, grapefruit, easy to drink. 2006 Muse Mingle: $12.99. Blend changes every year. Currently Cabernet Sauvignon and Merlot. Chocolate, red fruit, light, berry, spice. 2004 Garsa Tempranillo: $19.99. 2.5% Muscat Canelli blended in. Blueberry, black cherry, spice, tannins, some underlying red fruit. Rapport Ruby Dessert Wine: From Madera County. Souza, Touriga, Tinta Madiera. Blackberry, raisiny, port-like. I also took home a bottle of the Garsa Grenache and the Cloud 9 Composition. Look for notes on those in the future! Overall, the people at Solomon were incredibly friendly, and I coulld have easily spent another hour there tasting the wines as they had many more to offer! Well priced and quite a few good selections.